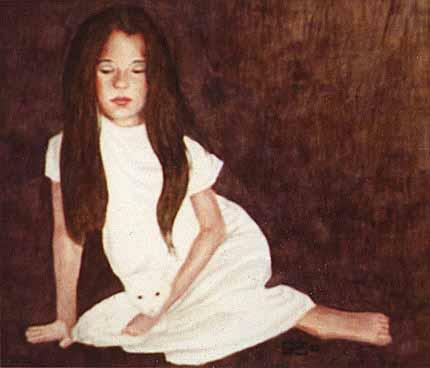 Bambi has posed for several paintings. This one used the white cat named, Casper. More a sketch than a finished work, I was searching for quiet innocence.